I'm 22 years old and I've been experiencing ASP for as long as I can remember. When I was very young it only happened when I took naps during the day, but then it started to happen at night when I fist fell asleep. As everyone else said, it is always a frightening experience even though I've had it for so long and know exactly what is happening when it does. I've had plenty of hallucinations with ASP and they mostly consist of dark figures approaching me, although sometimes I hear sounds and even hear/see friends and family members! I always feel like I can shake my head while the rest of my body is paralyzed, and I thought I was imagining this until people sleeping next to me confirmed it. Every time ASP happens to me, I must fully wake up for it to stop, because if I quickly drift back to sleep then it will happen over and over again until I am fully awake and I guess "snap out of it". Strangely, sometimes I feel like it is going to happen to me on certain nights before it does, as in I lay in bed and think about it before falling asleep and then it does. As the title of my entry suggests, I have experimented with SP without really knowing what I was doing. 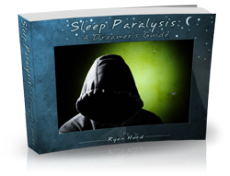 I was really amazed when I read about the SP book that Ryan wrote, because I've experimented with lucid dreams without even knowing that this is related to SP. 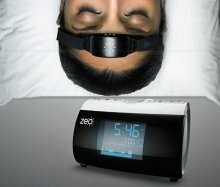 I was always confused by it, but sometimes I would feel very mentally aware while relaxed and falling asleep, so I would start creating my own dreams. I've had a lot of fun with this, because you basically feel like anything is possible since you have the power of your own conscious mind paired with a very realistic imaginary world; it is an extraordinary thing. I'm very pleased to know that this is connected to my ASP, and hopefully I will be able to make my experiences even better and avoid feeling frightened with this new found knowledge.